Based on the speaker’s experience of climbing the Everest in 2007, this lively and vivid lecture uses a big amount of pictures to discuss a series of difficulties and questions that encountered by the speaker during his climbing: why should I climb the mountain? The lost goal; the unhealthy mentality; lack of perseverance, etc. This lecture provides insights on management by objective, team work and trust, perseverance, a balanced approach. Based on the speaker’s different stories of climbing the seven highest peaks of the seven continents, it discusses the challenges the climbers will face in the mountains. The speaker will share insights on goal setting and management, risk management and behavior management. 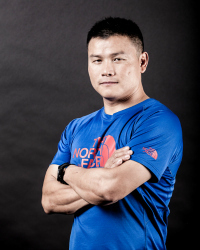 This lecture will talk about why the speaker chose to be a professional athlete and mountain guide in China, and what his experiences in the past 20 years of career and climbing. This lecture provides insights on self-motivation, persistence, self-knowledge and commitment.